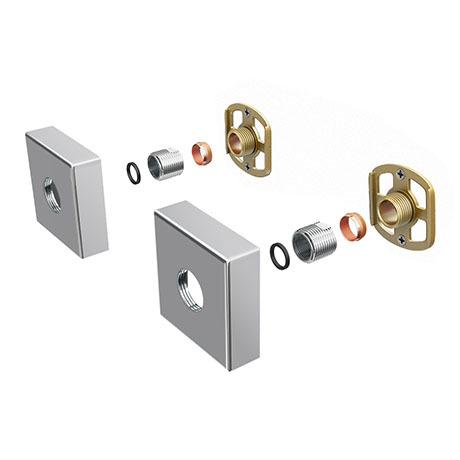 The Fast Fix Kit Bracket with Square Chrome Shrouds for Bar Shower Valves, designed for fast and efficient installation of wall mounted bath and shower mixers to concealed 15mm pipework. Comes with a 10 year guarantee. Does exactly what it says on the box Easy fit.